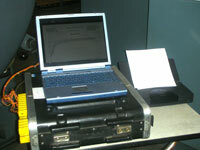 Uniformity surveys are performed using NIST traceable standards and materials. Tests are performed based on customer's specification requirements. 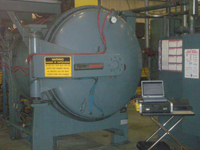 Our technicians are trained in the most common industry governing specifications for pyrometry and heat-treating. We use state of the art data acquisition systems for acquiring, processing and reporting temperature uniformity data. Survey reports are completed on site upon completion of survey. There is no waiting for your survey report to arrive. The list below is a sample of the types of furnaces and ovens we currently provide temperature uniformity surveys for.